Joy asked us to make projects with paint swatches. 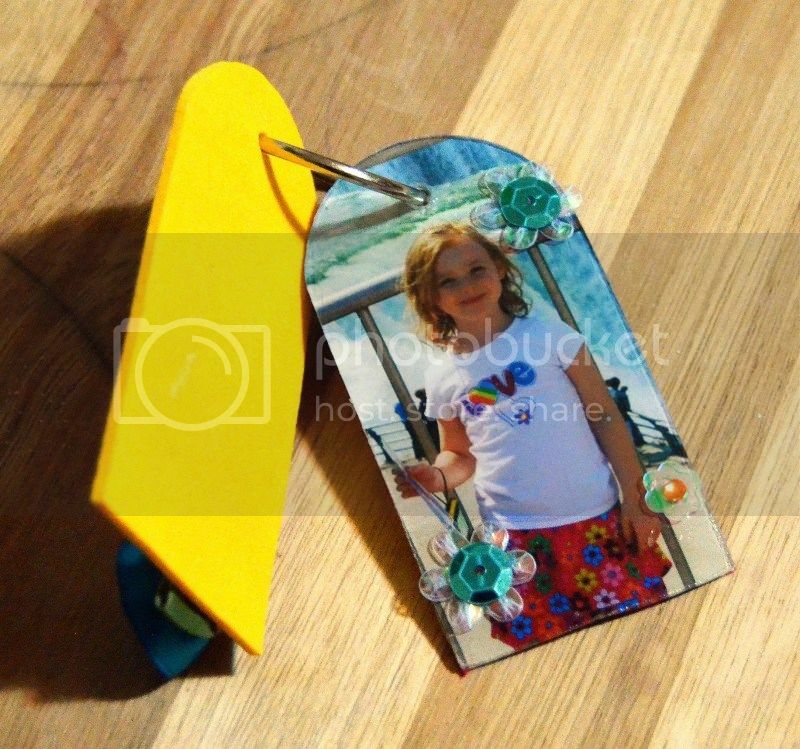 I created this small key chain with the swatch tag assignment in mind. I didn't have any actual paint swatches so I used the base of a really small mini album and created the front with foam. I stamped the foam with staz on ink using this beautiful quote from the Tag You're It TWO set. The inside 'page' is an acrylic tag from the original mini album. I used glossy accents to affix the photo to the back of the acrylic so that it is protected. 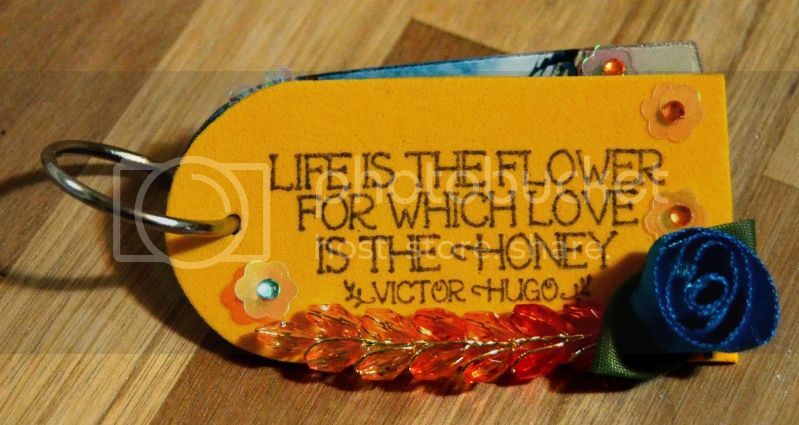 I embellished this with a few small, flat embellishments, so that the key chain is easy to use.